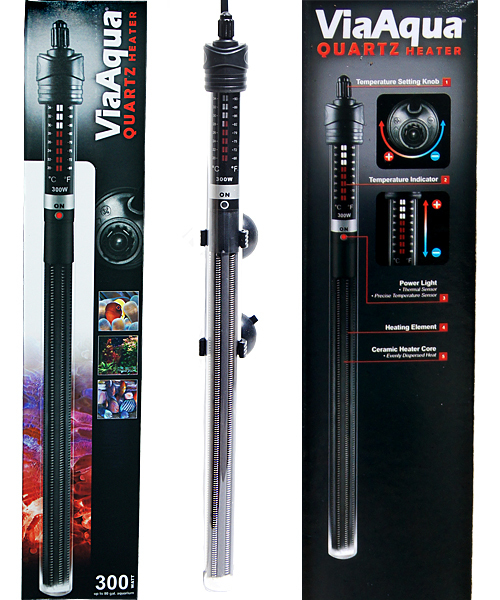 Our Via Aqua (& Others) Aquarium Heaters are State of the Art Technology, especially our NEW Quartz & Via Aqua Titanium Heater (with the Most Accurate "Out of Aquarium" Temperature Control (Thermostat) Available. We sell the most reliable yet best value aquarium heaters to fill most aquarium keepers heating needs, including the popular Via Aqua Glass, (Now Quartz) Submersible Heaters which in our service business use compare to the best in its class, yet are generally less expensive. We feature the newest innovation in reliable, yet simple aquarium heaters; the Premium Via Aqua Digital Quartz Submersible Aquarium Heater! 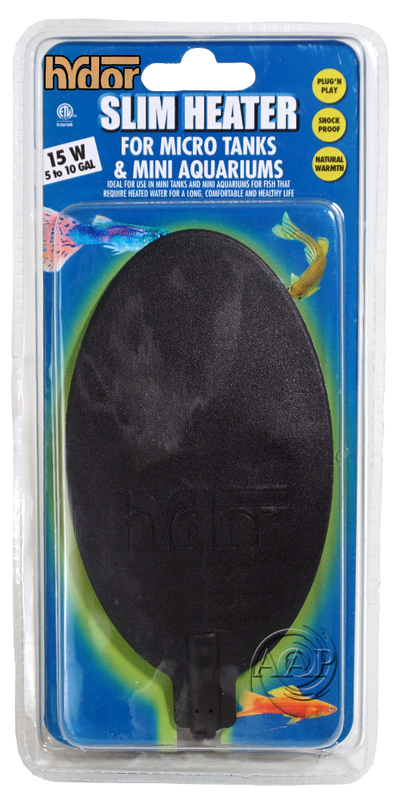 We also sell new Generation DIGITAL Titanium Aquatic Heaters which are practical for use with large fish application, as well as the simple Hydor Mini Heaters that are useful with Betta, Endlers livebearers, and similar small fish tanks. •	For 1 - 2.5 gallon aquariums (4 watt). •	For 2.5 - 5 gallon aquariums (7.5 watt). •	For 5 - 10 gallon aquariums (15 watt). 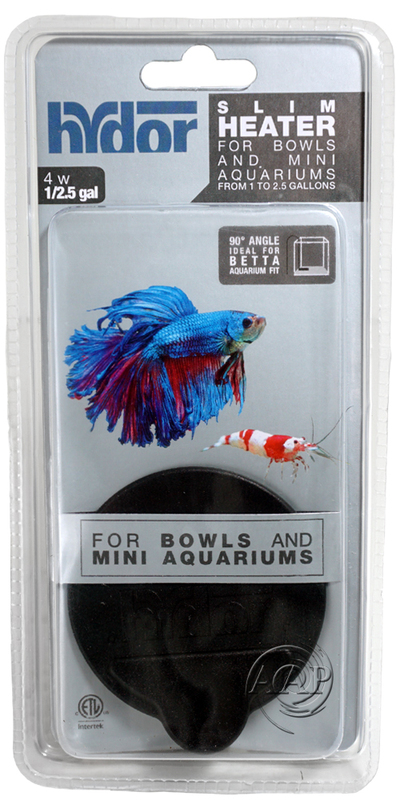 •	COMPLETELY SAFE FOR BETTA BOWLS! •	No setting necessary as this is an ambient heater that CANNOT raise temperature any more 10 degrees. As an example if the 7.5 watt model used with a 2 gallon bowl that is normally 70 degrees without a heater, the 7.5 watt model will raise the temperature to approximately 80F. This same model would raise a 5 gallon tank/bowl with the same ambient conditions to approximately 75F. 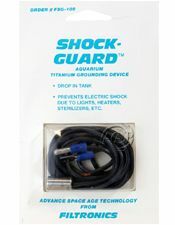 The AAP Shock Guard prevents electric shock due to lights, heaters, sterilizers, etc. Simply drop in tank & connect to ground. Sold on separate page, please click on the picture/link for more information and to purchase. the Via Aqua Quartz Heaters are among the MOST reliable, strongest construction glass & quartz heaters available! We have had less than 1 defective failure in 500 used/sold! (American Designed/Engineered and Asian Built)! You will find no more reliable Economy Heater Anywhere; Compare to Tronic and Ebo Jager in Quality & Reliability! *For 5 to 25 gallon aquariums. *For 20 to 40 gallon aquariums. *For 60 to 150 gallon aquariums. 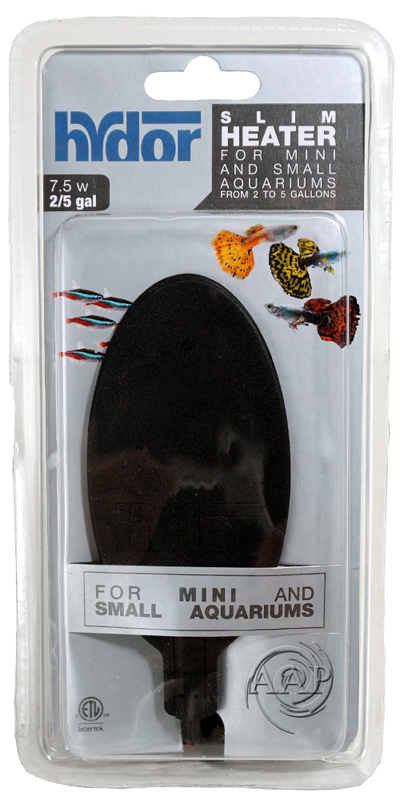 NEW & improved Via Aqua Titanium heaters, more accurate than before! 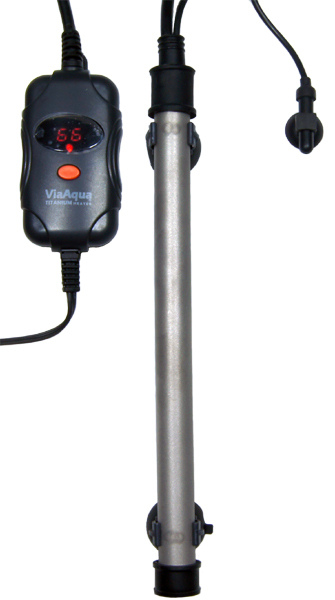 There is no more reliable and accurate Titanium Heater in its class/price range than the Via Aqua Standard Titanium Heater (this does not include the vastly more expensive high end such as the Via Aqua Digital Titanium or the Pro-Heat II Titanium IC Heaters). 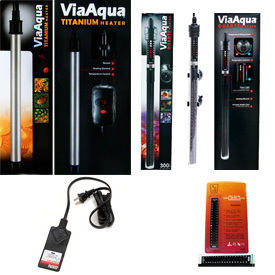 •	Our extensive use through our large aquarium maintenance partners bears out the Via Aqua Titanium Heaters quality and reliability vs. ALL other comparable Titanium Heaters! 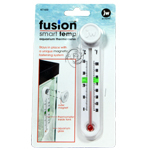 •	The most accurate, state of the art thermostat available. •	The temperature probe must be placed under water at least 10 minutes prior to plugging into an outlet. 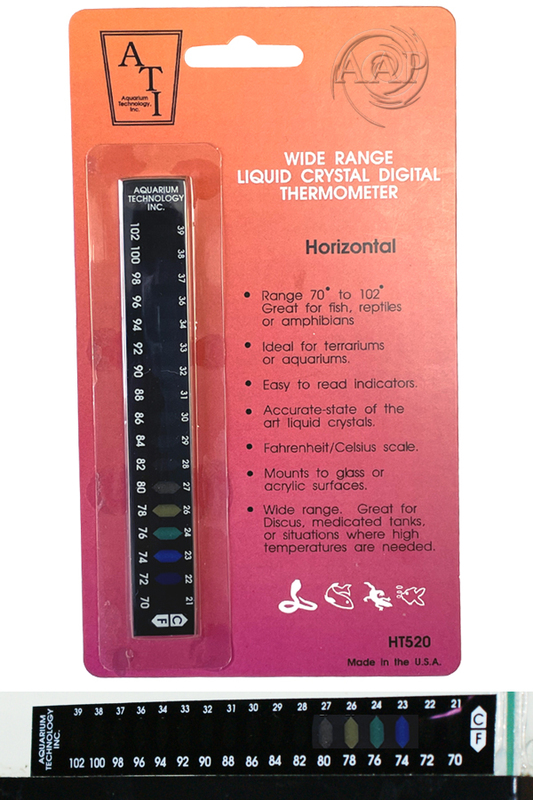 •	Available in Horizontal stick on aquarium front or side thermometers. •	Stays in in place with a unique magnetic fastening system. *Also useful for filter intakes, spray bars, etc. Dow Corning/All-Glass 100% Pure; the best silicone available! 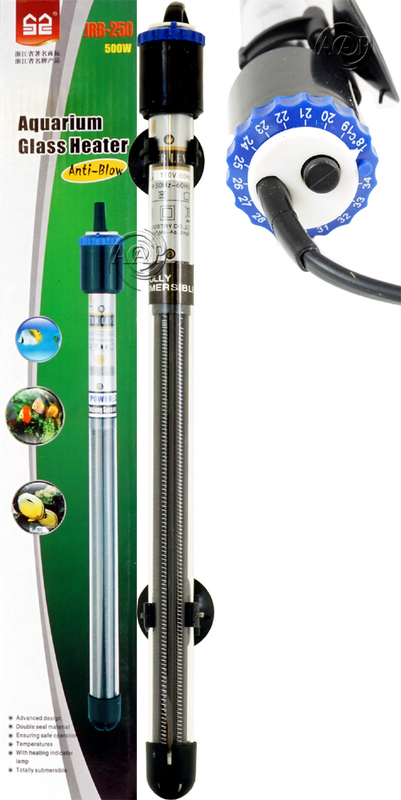 Both Value and Quality Aquarium/Pond Pumps; from the Via Aqua, the Rio HF, Seio Propeller, Million Air and Fusion Air Pumps, • 3828 GPH (14,500 LPH) Pond Pump, & much more! 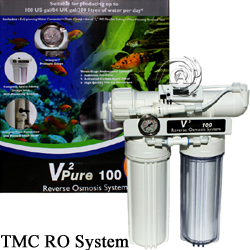 Premium ATI/Lustar Hydro Sponge Aquarium Filters for bio and mechanical aquarium filtration. 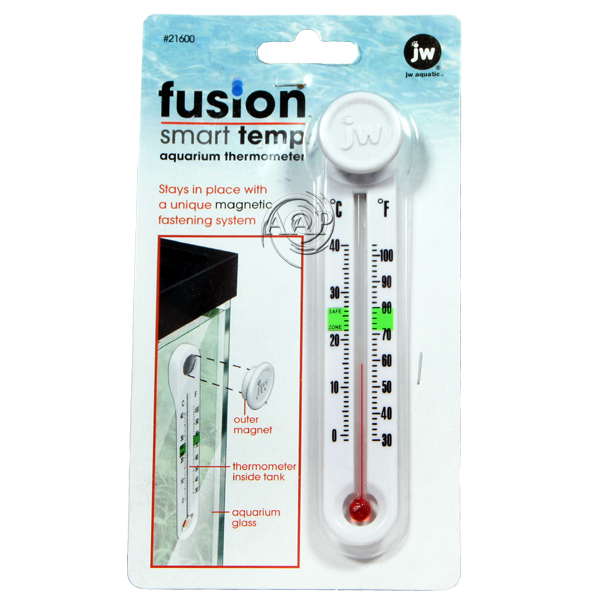 •	We recommend 25 watts for every 10 degrees of ambient temperature per 10 gallons you need to raise your aquarium temperature. EX: If your home is 68 degrees and you have a 40 gallon aquarium, to reach a temperature of 78 degrees you would need a 100 watt heater. The above calculation is HIGHLY accurate, and despite what many manufacturers print on their boxes in an attempt to get you to purchase a more expensive higher wattage heater, this formula/calculation is what should be followed. •	The Via Aqua Quartz/ Glass and Titanium (ReSun as well) are FULLY submersible heaters. The minimum water line is for the LEAST amount of water covering the heater, in other words, the heater should never out of the water past this line while plugged in. I recommend letting a operating heater cool down (in water) for 10 minutes prior lowering water level past this point. With a new heater or when refilling an aquarium after a water change, we recommend placing the heater under/below the minimum water line at least 10 minutes prior to plugging in the heater. Please note that the instructions for the Via Aqua Heater (#2 & #3 on the instruction sheet) is stating to not get the controller wet, this refers to the compromise of the internal controller via damage, a broken seal, etc. that allows moisture into the heater, NOT that the heater cannot be submersed. •	The manufacturer recommends indoor use, HOWEVER this is simply for legal protection (for them) as I have used these heater in mobile outdoor “ponds” that I have moved in and out of my business and other outdoor applications with no problems. •	The heaters are best installed in an upright position as this minimizes the chance of water leaks around seals, HOWEVER I have used these (& other brands) in horizontal positions with few additional problems. •	Titanium Heaters do not work well in restricted spaces and/or with poor circulation near them, otherwise they can over heat and burn out. Provide adequate circulation and do NOT place in outside heater modules (use glass heaters for these applications). 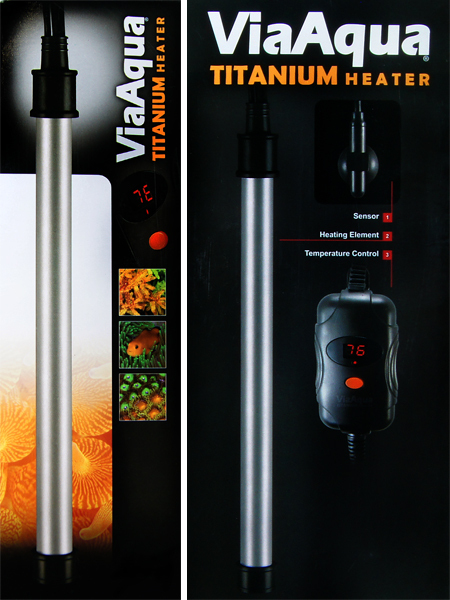 •	The Titanium Heater is most accurate heater element and probe are placed as far apart as possible in the aquarium.